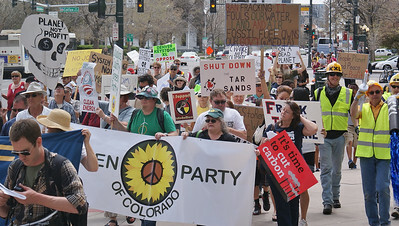 Rally and march against the KXL pipeline in Denver Colorado, 4/26/14. Large group of marchers with signs and banners at KXL pipeline protest, Green Party banner in front. 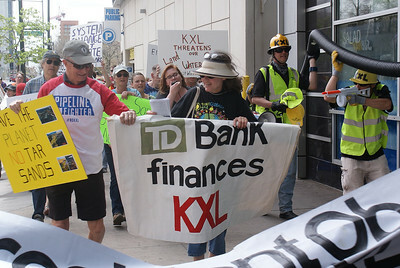 Large group of marchers with signs and banners at KXL pipeline protest. 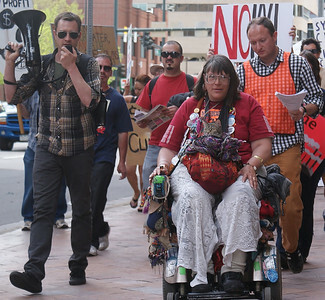 Disabled woman in wheelchair at the head of anti KXL pipeline march, other marchers with banner and signs behind her. 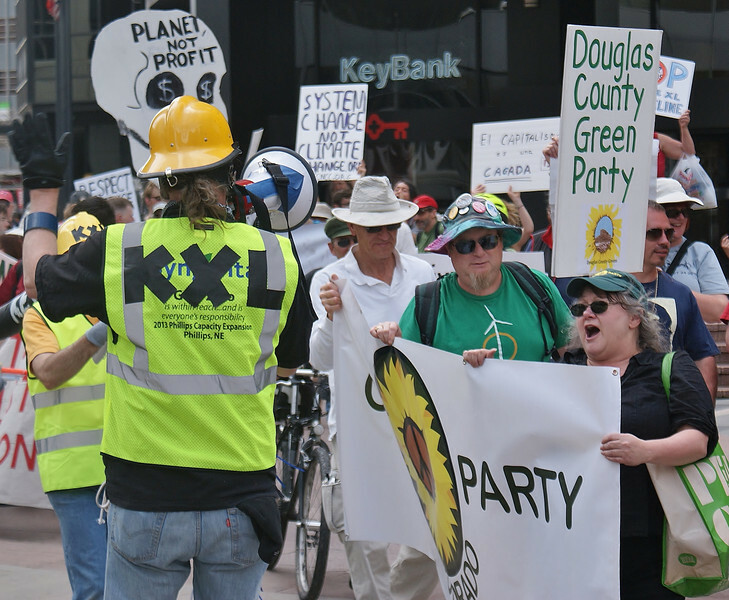 Large group of KXL pipeline protesters march with signs along city sidewalk. 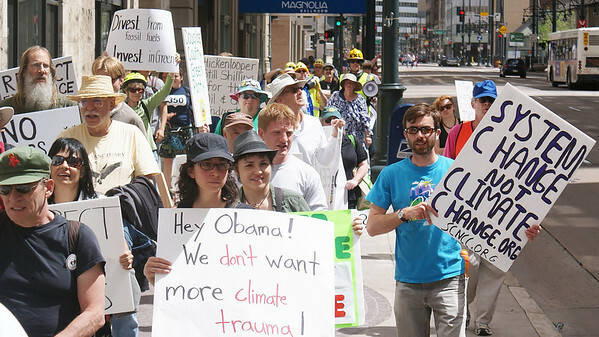 Woman in anti KXL pipeline march carries sign directed at President Obama. 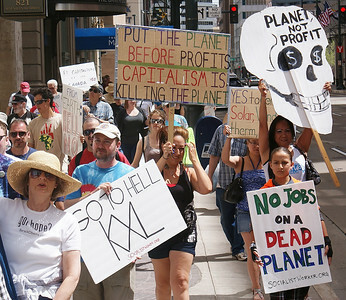 Large group of KXL pipeline protesters march with signs along city sidewalk, one sign shaped like skull. 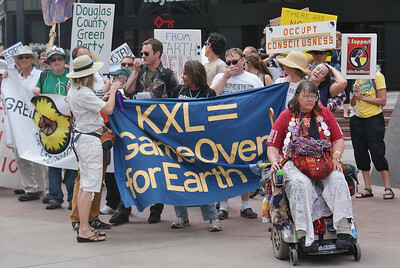 Man speaking through bullhorn marches beside woman in wheelchair at KXL ipeline protest. 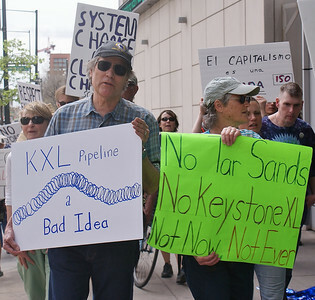 Senior man in camouflage shirt and pants holds anti KXL pipeline sign, other protester with sign behind him. 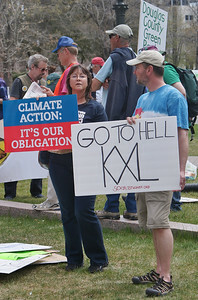 Man and woman at KXL pipeline protest holding signs, one says "Go To Hell KXL", other demonstraters behind them. 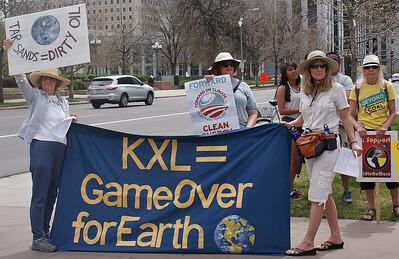 Group of women protesting KXL pipeline holding large banner and signs, car goes by in background. 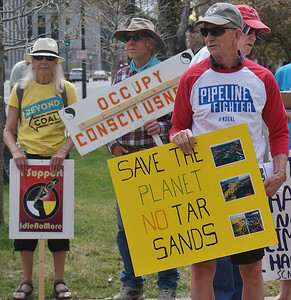 Man holding sign against tar sands, woman next to him with "Idle No More" sign. 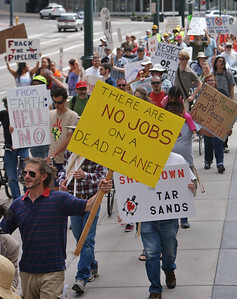 Man with long beard holds sign "No Jobs On Dead Planet" above head while marching at KXL pipeline protest. 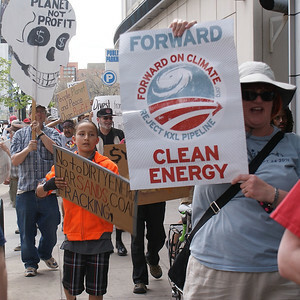 Protesters aginst KXL pipeline march with signs, one sign shaped like skeleton head. 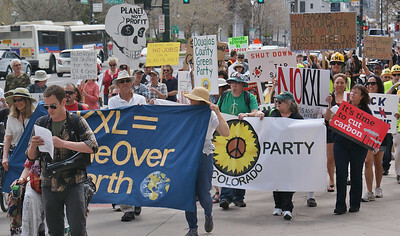 Man and woman carry signs in protest march against KXL pipeline. 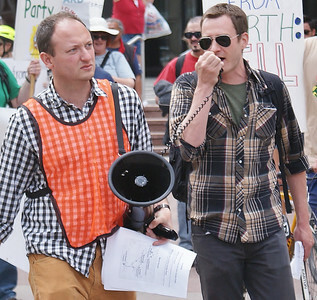 Two men in anti KXL pipeline march, one speaks into microphone, other carries bullhorn. 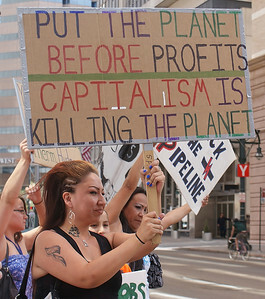 Hispanic woman holds up anti-capitalist sign at KXL pipeline protest, other demnonstrators behind her. 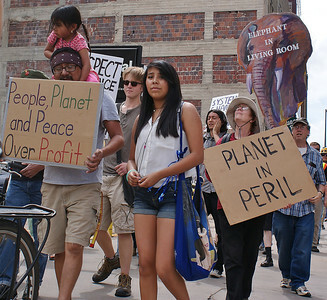 Hispanic man marching at KXL pipeline protest with young daughter on his shoulders, other daughter marches beside them. KXL pipeline protester with sign objecting to TD Bank financing, man dressed as pipline security with toy gun, next t9o her. 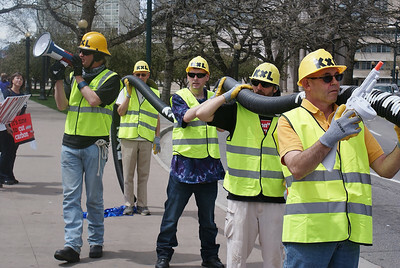 Group of men dressed at pipeline workers with hardhats, one holding toy gun, carrying mock pipeline on their shoulders. 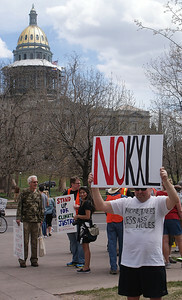 Man holding anti KXL pipeline sign above head, Colorado state capitol building dome in the background. 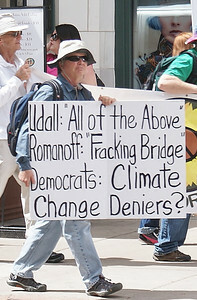 Man in KXL pipeline protest march carries sign critical of Democrats.